The big picture: Solid state storage is still too expensive to use for large scale data storage. Western Digital's latest improvements in storage density will help bring down costs of keeping astoundingly large amounts of information in the cloud. 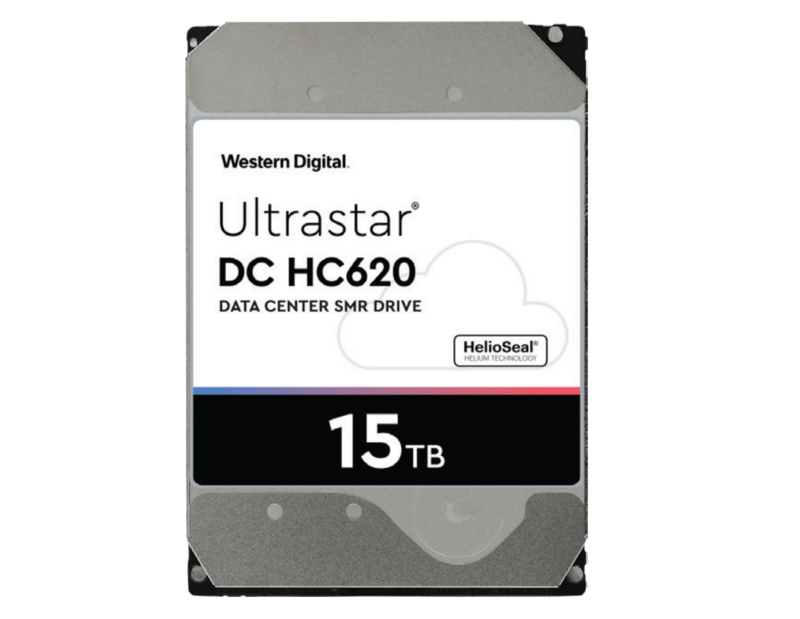 Storage density improves for mechanical hard drives yet again as Western Digital introduces its 15TB Ultrastar DC HC620. Using shingled magnetic recording, data can be packed even tighter on platters, but with the side effect of adjacent tracks having to be rewritten on each pass. Home users may not see any significant difference between current 14TB options and a 15TB drive, but the increased storage density is important to cloud storage applications. Western Digital is pushing the new 15TB Ultrastar drives for smart cities that generate a lot of surveillance footage as well as advertising to government and regulatory bodies that require mass amounts of storage. At 15TB per drive, a completely filled 4U60 enclosure equates to approximately 900TB of storage. This is the equivalent of more than four extra 14TB drives per rack. Where floor space and power consumption per unit of storage matter, this can provide cost savings on large scale deployments. Similar to other high capacity drives, the Ultrastar DC HC620 makes use of helium to reduce internal friction forces. Arriving with SATA 6Gb/s or SAS 12GB/s options, Western Digital's latest drive gains a little performance over the 14TB model as well. Continuous transfers sit at 255MB/s compared to 234MB/s with no difference in power consumption during read and write operations. Idle power consumption has been ever so slightly reduced. Pricing has not yet been confirmed, but expect sticker shock upwards of $600 per drive if you are only looking for a small number of drives.